The diagnosis of a serious illness brings many changes and can raise lots of questions, both practical and emotional. Everyone has their own way of coping and their own resources. Sometimes we need help from someone outside of the family to help make sense of what is happening, ask our questions and discuss how to adjust to illness and all the changes it brings to our life. 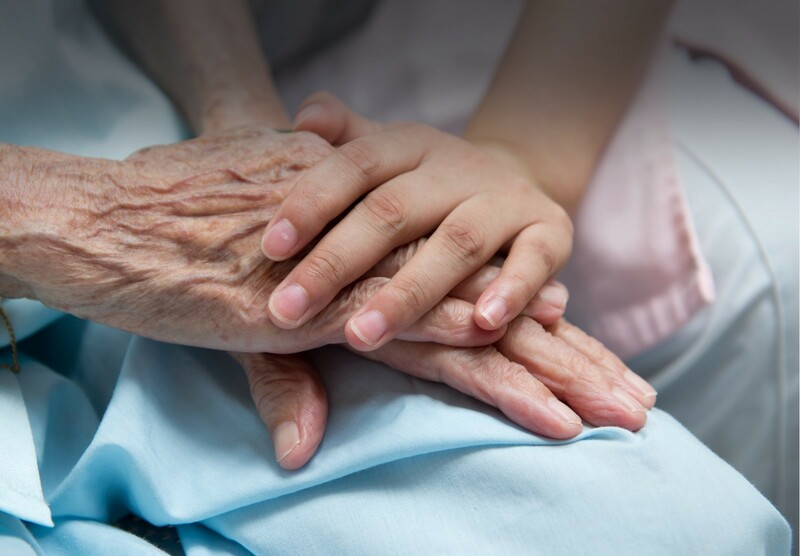 The Social Work service of St. Francis Hospice is provided by qualified and experienced social workers who work as part of the multidisciplinary team that includes hospice doctors, nurses, chaplains and others. The service is also extended to the family during their experience of bereavement. We will work with you to help you manage the challenges that illness and loss can bring. We can help you and your family find ways to communicate about all the changes, care issues, worries for the future, and how to talk to children or someone vulnerable in the family. We can offer advice on how to access practical supports such as carers or financial assistance. We will meet you, or your family member. We can be contacted through any member of the multidisciplinary team. You can also contact the Social Work Secretary directly using the contact information supplied at the top of the page. An essential part of the social work role is to hold family meetings, where family members can meet with the hospice team involved in the patient’s care. These meetings provide an opportunity to share information including wishes and choices, ask questions, identify difficulties, and ensure that good communication is maintained. These meetings help patients and families agree a plan of care in partnership with the team. When serious illness occurs in the family, adults naturally want to protect children from its impact. However, it is vitally important that children are involved in the family's experience and helped to express their feelings. The Social Work team offers support and advice to parents and families in recognising and managing the specific needs of children and others who may have difficulty with understanding illness and coping with loss. Grieving is a normal process of adjustment following the death of someone important in your life. Grief is sometimes described as a journey of change, with most people going in and out of grief as they adjust to life again. This may include learning new skills, or taking on new tasks such as managing finances or cooking. Grieving can bring up many different and difficult emotions. It can be tiring and challenging. Many people cope with grief through the support of family and friends. Others benefit from talking to someone outside the family. All of our bereavement services are open to family and friends of patients who died under the care of St. Francis Hospice Dublin. There is no charge for any of our services. The Social Work service is available to help families cope with their bereavement through the provision of information, support and bereavement counselling, to both adults and children. Social Workers can meet people individually and together. They may provide information about how to talk to your child and others who may have difficulty with understanding death and loss of a close relative. A child’s experience of bereavement can be very painful and isolating, and parents going through their own grief may not be emotionally available to help their child at this time. The hospice Social Workers are available to work with children, when requested by their parents, to help them work through their grief. The Social Work Department also works closely with the Volunteer Bereavement Support Service, a team of trained volunteers who offer support to individuals on an on-going basis. It is a confidential listening service and the volunteers meet clients on a one-to-one basis at the Hospice. Appointments take place in St Francis Hospice Raheny on Tuesday afternoons and Tuesday evenings every week. Appointments take place in St Francis Hospice Blanchardstown every second Thursday afternoon. If you would like to attend the service, please contact the Social Work Department using the contact details above and speak to a member of the Social Work team. The death of a family member, a relative or a friend can bring up many strange and painful feelings. The talk “A Journey Through Bereavement” which takes about 45 minutes, will be given by one of the Social Workers. It will describe some of the different ways people experience bereavement. At the end of the talk some of the bereavement volunteers and social workers will be available if you would like to talk to them or ask any questions. Invitations are sent to bereaved families whose relative has died under the care of St. Francis Hospice in the previous 4 to 6 months (Community Palliative Care Raheny and Blanchardstown, Hospice Day Care Raheny and Blanchardstown, IPU Raheny and Blanchardstown, Outpatient Service Raheny and Blanchardstown). The events are held on a Wednesday evening in the Centre for Continuing Studies in St Francis Hospice Raheny beginning at 7:30 pm. If you would like to attend a Bereavement Information Evening, please contact the Social Work Secretary with your details. A Service of Remembrance is an opportunity to take time to reflect and remember the person who has died. The ceremony, which is led by the Chaplaincy team, includes music and reflection, a candle lighting ceremony and a short talk from a Social Worker on the early stages of grief. Invitations are sent to family and friends of patients who have died under the care of St Francis Hospice approx. 6-20 weeks after the person has died. If your friend or relative died under the care of St. Francis Hospice Raheny, the service will take place in St John the Evangelist Church in Kilbarrack. This service commences at 7:30 pm. If your friend or relative died under the care of St. Francis Hospice Blanchardstown, the service will take place in St Brigid’s Church, Blanchardstown. This service commences at 7:45 pm. If you would like to receive an invitation to a service, please contact the Social Work Secretary with your details. At Christmastime, in our Tree of Life ceremonies, we remember all those we have cared for as we gather around the large Christmas trees in the grounds of St. Francis Hospice Raheny and St. Francis Hospice Blanchardstown. It is a time for us to think of those who are no longer with us and those close to us who are experiencing sadness or difficulty. The ceremonies, which are led by the Chaplaincy team, usually take place on the first and second Thursdays of December. You may wish to enter a tribute to someone who has died in our Remembrance Book. There are books available in the main reception of both Raheny and Blanchardstown as well as the online book. All tributes entered in the Remembrance Book are on open view to all. We hope that the writers and readers of these tributes will gain some comfort and know that they are not alone in their loss. If you would like to attend any of our services, or discuss bereavement support, please contact the Social Work Secretary on 01 832 75 35 (ext: 203) or email socialworksecretary@sfh.ie.